The World Gold Council (WGC) is an international organisation comprising several of the largest gold mining companies in the world including Barrick, China Gold and Newmont Mining Corporation. The main aim of the council is to further develop and maintain the continual growth of the gold industry through extensive promotion, as well as supporting research into new uses for gold. had a huge hand in making the gold industry what it is today. Bringing together many of the world’s most prestigious gold-mining companies, it was originally founded to help promote the global demand for gold and fuel consumer interest. According to its website, the WGC is governed by a Board of Directors, who meet four times a year. The board is made up of four main committees, who together help shape the future of the gold industry around the world. The organization have several main offices based all over the globe including their main headquarters in London as well as central offices in New York and Shanghai. Through their website, the WGC provide investors with a wide array of useful data and information including reports on the latest gold trends, consumer behaviour, real-time gold stock performance updates and an extensive library of interesting articles. Responsible gold mining is high on the list of the WGC’s responsibilities and the organisation are heavily involved in ensuring responsible and ethical conduct throughout the mining industry. The WGC was instrumental in developing the Conflict-Free Gold Standard, a process put in place to make sure that any gold being mined does not go towards funding any global conflicts or unlawful militia activity. They also support the International Cyanide Management Code which provides a framework for helping to reduce the amount of potentially harmful environmental impacts caused by mining. The World Gold Council’s symbol is made up of three gold rings. These rings are said to represent the “never ending circle of meaning,” and according to the council themselves are a reflection on how gold represented eternity to many ancient cultures. In the words of the WGC these three rings symbolize the past, present, and future of gold. The WGC was responsible for creating the very first Gold Exchange Traded Fund (ETF) Launched in November 2004,the SPDR Gold Trust totally changed the way modern consumers invest in gold. The WGC initially spent just $14 million dollars developing the fund, which today is officially the 14th largest ETF in the world and has an estimated worth of $56.7 billion. The SPDR Gold Trust, ticker name GLD, is essentially a gold backed exchange traded fund allowing investors to invest in gold bullion without the expense of paying premiums or storage costs. The GLD buys $30 million of gold daily and is the world’s largest private owner of bullion. The WGC also helped set up the very first Gold Accumulation Plan (GAP) in China, along with the ICBC. (Industrial and Commercial Bank of China) The GAP is aimed at investors who want to invest a certain amount into gold on a daily basis. The benefit of investing in a GAP as opposed to a gold savings account is that it has a much lower minimum entry level, only requiring an investment of 1 gram per day. When the contract reaches maturity, investors can either renew it, convert it into cash, or exchange it for physical gold at designated branches owned by the ICBC. 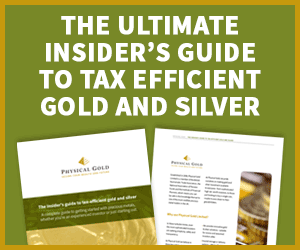 Physical Gold are specialists in VAT free gold investments. For more information on how we can help you, please give us a call on 020 7060 9992. This entry was posted in Blog and tagged World Gold Council.